What is Maternal Child Health? 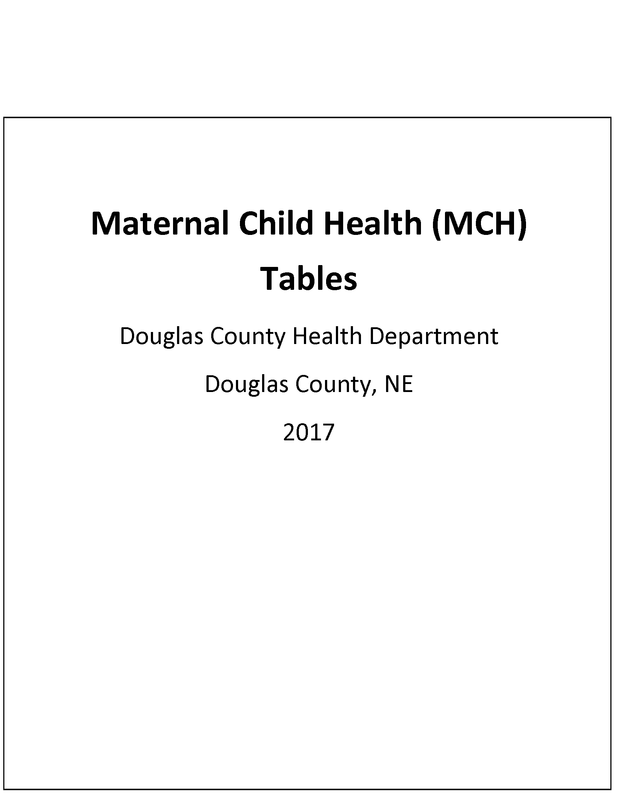 Maternal Child Health (MCH) indicators compile data from many sources to monitor the health of Douglas County's mothers and children. Much of the data presented here can be found in other areas of this site such as Births Data, Deaths Data and others. We have compiled related Maternal Child Health Data here in one place for your convenience. Maternal Child Health Data can identify and quantify many health-related issues in Douglas County, measuring and identifying health disparities, and tracking progress toward public health goals. Some data that may be of interest include: low birth weight births, infant mortality, adequacy of prenatal care and many others. This website presents a variety of Maternal Child Health data compiled by the DCHD Health Data program that may be of interest to public policy makers, medical professionals, students, and interested members of the general public. In the future this area of the site will be interactive and explorable by users. While this area is under development, please access our report below. Click on the above image for our report.